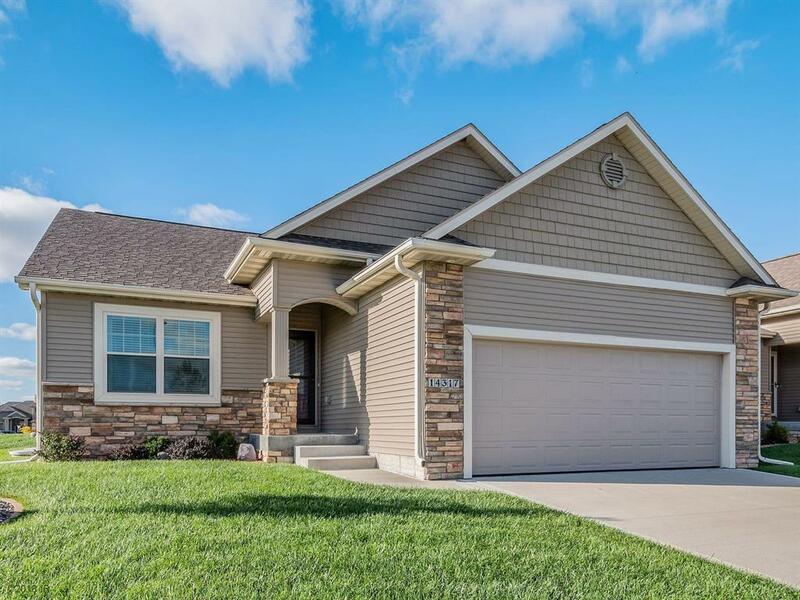 Outstanding townhome located in the desirable Calvert Meadows neighborhood of Urbandale! This unit features hardwood floor entry and throughout the kitchen which opens to a great room with fireplace. The Master Bedroom Suite has its own private bath with double sinks and tiled shower along with a walk-in closet that has access to the first floor laundry and mudroom with lockers off the garage. There is also a second bedroom on the main floor with another bath with a tiled shower. The finished basement includes a large Family Room with a wet bar, along with 2 more bedrooms and a bath. The garage has an epoxy floor and the exterior has a large common area. Truly a wonderful home in a terrific area!